Labor Day weekend officially put another summer music festival season in the books. (Global Citizen, we see you over there at the end of September, but, sorry, according to our charts, you count as autumnal.) It was another overcrowded year that kicked off with Beychella, powered through heatwaves, various types of deluges, and, in Germany, a tornado, then closed out last weekend in Philadelphia with Jay-Z’s Made in America festival (which nearly didn’t happen). Luckily, 2018 avoided a total repeat of last year’s Fyre Festival debacle (phew), but several festivals did go up in flames. Retire your flower crowns, rompers, and drug stashes for the winter and let’s pour one out for all the festivals we lost this year — some gone for good, others on hiatus, and a few on death watch. Cause of death: Its founder, Adam Zacks stepped down, announcing that the festival would not return in 2019. Why we’ll miss it: The yearly excuse to go camping in Washington, 17 years of donating some of its ticket profits to charity, always saving a slot for Neko Case. Cause of death: After 24 years of providing a traveling summer camp for scene kids of all varieties, Warped Tour simply aged out. Founder Kevin Lyman told Billboard that he got “tired” of doing it and the tour also saw a “pretty big dip” in ticket sales the previous year. Why we’ll miss it: The free hugs and Trojans, the scene kids all fraternizing in one sweaty cesspool of a festival, the mosh pits, getting clocked in the head with a beer bottle, the merch (so much merch), the rampant unspoken misogyny (JK we won’t miss that), that one time Katy Perry played back when she and Gym Class Heroes’ Travie McCoy were a Thing, our emo teen spirit. Thnks fr th Mmrs! Cause of death: Low ticket sales, Billboard reports. The festival’s organizer, Goldenvoice, canceled the 2018 Los Angeles festival just after announcing its lineup saying it “felt unable to present an experience on par with [fan] expectations.” But this wasn’t FYF Fest’s first sign of trouble: The previous year, its founder, Seth Carlson, sold the rest of his shares of the company to Goldenvoice after he was accused of sexual misconduct. Why we’ll miss it: Its 2018 lineup booked a helluva lot of women. Cause of death: Debt and loss of sponsors. Listen Live Entertainment, the company behind the annual St. Louis festival, canceled this year’s event just days before it was set to kickoff, citing “several financial hurdles” after it lost its two top sponsors and incurred “lingering debt” from past festivals. The festival also reportedly had scheduling and contract issues with top artists on the lineup. Why we’ll miss it: Its lineup was a better mix of genres (Kacey Musgraves, T-Pain, Robert Plant) than you’ll find at most festivals. Cause of death: Flooding. Phish’s latest iteration of their longtime festival series (this being their eleventh) was set to do go down in August in Watkins Glen, New York, but severe rainfall forced an abrupt cancellation due to flooding and a contaminated water supply. “We were told the heartbreaking news that due to the unsafe water conditions in the Village of Watkins Glen, our beloved festival is being canceled,” the band said in a statement. “We are still in shock.” Some festival attendees had already arrived at the campgrounds and were permitted to stay overnight, before being ordered to pack up. We we’ll miss it: It’s a tradition. Cause of death: Tana Mongeau. The 20-year-old YouTuber thought she could take on the alleged corruption of the annual YouTube circus VidCon with her own eponymous rival convention across the street in Anaheim, California, on the same weekend this year’s VidCon was held. To make her dream a reality, Tana partnered with a company called Good Times Entertainment, run by a 22-year-old, to organize the event. A very bad time ensued: Tickets were oversold for a too-small venue, security was nonexistent, and thousands of fans left waiting in the heat sustained severe sunburns. The festival was shut down six hours into its first day, with police citing overcrowding. The debacle sparked an entire conspiracy theory docuseries from fellow YouTuber (and TanaCon supporter) Shane Dawson, a separate extended explanation video from Tana herself, and endless memes comparing the mess to Fyre Festival. Why we’ll miss it: The drama. Cause of death: It was a scam. Like a Fyre Festival 2.0, XO Music Festival was meant to be held in Antioch, California, in July with a mishmash lineup of rappers old and new. Except it was canceled three days before opening day due to “the promoters’ lack of fulfilling contractual obligations.” In other words, artists were never paid and some allegedly were never even officially booked. Bookers called the whole thing a “fraud,” noting that its organizer, Sami Habib, had recently been arrested for an alleged high-end real-estate scam. Why we’ll miss it: We won’t. Cause of near-death: After two years — the first of which got cut short when Kanye had to leave mid-set because Kim Kardashian got robbed in Paris — the Meadows had to take 2018 off to regroup. In a statement, the festival said it failed to “obtain a workable multi-day permit” at Flushing Meadows Corona Park, which they’d hoped to move to after two years held in the parking lot at Citi Field in Queens. It promises to return in 2019. Why we miss it: The easiest festival commute in New York City. Cause of near-death: The environment. Technically, Glastonbury has always allotted itself “fallow years,” or years the festival takes off to allow the farmland in Somerset, England, where the festival is held, to recover: 2018 was designated as a fallow year, and the festival is set to return in 2019. 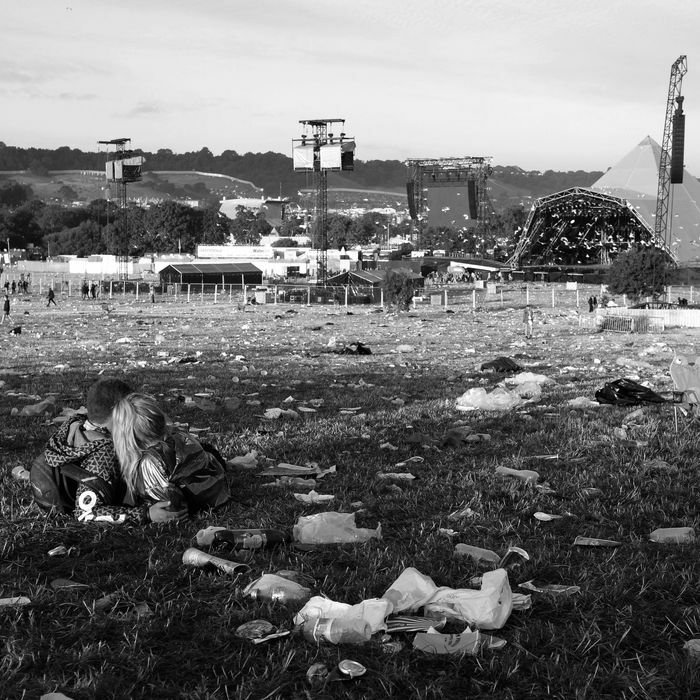 Organizer Emily Eavis says Glastonbury 2019 will see some “radical changes,” but it’s unclear what those will be. Why we miss it: It was the first festival to have Beyoncé headline and therefore can do no wrong. Cause of near-death: Rain. Though its first few years went off smoothly, Panorama 2018 fell victim to the heavy rain that usually turns Gov Ball into a swamp. Its first day had to be canceled due to the storms, and the rest of the weekend was a muddy mess. The inclement weather also caused Lil Wayne to miss his set the next day. Why we miss it: The next two days still happened, so technically not all was missed. But justice for Dua Lipa’s set! Cause of near-death: No one quite knows. Drake’s annual Toronto festival went on for eight consecutive years. This year, with no announcement, it just hasn’t happened, at least not yet (it could move to the fall or winter, who knows). Drake has not acknowledged his festival’s absence this year, instead touring through Toronto with Migos with no festival attached. He mentioned that a recent New York City concert carried the same OVO energy, but that’s about it. It’s unclear if the festival will return in 2019. Why we miss it: It’s become tradition. Cause of near-death: Lack of sponsorship. The annual nonprofit jazz festival in Syracuse, New York, had to take its first-ever year off after failing to secure a sponsor to fund the festival. “A funny thing happened on the way to Jazz Fest this year,” founder Frank Malfitano said. “We decided that we could not mount it. We had a great festival planned. Unfortunately we couldn’t raise the money.” He plans to bring back the festival “bigger and better than ever” in 2019. Why we miss it: It’s our closest and best jazz festival. Cause of near-death: Venue change. Jay-Z’s festival was nearly canceled this year and forced to vacate its usual Philadelphia space at the Benjamin Franklin Parkway after alleged miscommunication between the festival and Philadelphia’s mayor Jim Kenney. In an open letter to the mayor, Jay-Z accused him of trying to shut down the festival and “evict” him from the popular spot. In the end, the matter was resolved, Jay-Z was permitted to keep the festival at the parkway, and this year’s festival went on as planned over Labor Day weekend. Why we would’ve missed it: It’s the best way to close out the summer. Why we would’ve missed it: We don’t know yet! It’s new. Cause of near-death: The ol’ growing pains. The festival, created by Bon Iver’s Justin Vernon and the National’s Aaron Dessner, has decided to take 2019 off after four consecutive years to work out some kinks. “After our Senior year, we find ourselves wanting to move out, change things, and take stock of who we’ve become,” they wrote in a statement, clarifying that the festival won’t be moving from its Eau Claire, Wisconsin home. “While it will be hard for us to break the chain of momentum and the positive impact the festival has had on our community, we have fresh, clear ideas of how to make it even better.” The festival will return in 2020. Why we would’ve missed it: A chance to almost always hear unreleased Bon Iver in the wilderness and support artist-owned festivals, duh. Cause of near-death: Selling out. By most accounts, Afropunk, the annual Brooklyn festival (now also held in other cities) by and for black people, has lost what made it punk. In 2015, the festival began charging for tickets and has attracted more and more corporate sponsors in a growing push to compete with the festival big dogs. In 2018, the festival was accused of kicking two attendees out of the VIP section for wearing a shirt critical of the company. (Afropunk called it an “unfortunate incident” in a statement.) Days later, its longtime editor-in-chief, Lou Constant-Desportes, resigned citing “gaslighting, disrespect, victim-blaming, and exploitation.” In his statement, he accused the festival of “performative activism” and of forcing him to sign a NDA. Why we’ll miss it: Safe spaces are hard to come by. We don’t need to lose another.